It was a surreal moment when I knew the precise location of Kohantei. I was in the Dubai Opera locale when a fully clad geisha shoots out of a store front and waves me over. Her beautiful traditional dress against the Burj Khalifa and Dubai Opera made me smile. When you’re facing the Dubai Opera, the Dubai Opera Store will be on your right while Kohantei will be on your left. They still don’t have a sign up. Through the noren, traditional Japanese fabric dividers, you are transported and welcomed into a Japanese home. The shiny city glass facades are silenced by the quaint brown woods of the space. The restaurant seats 28 people with 3 private dining areas and a common area with 5 tables. Your shoes are left at the door as your step up into the common area enclosed by wooden framed paper doors. 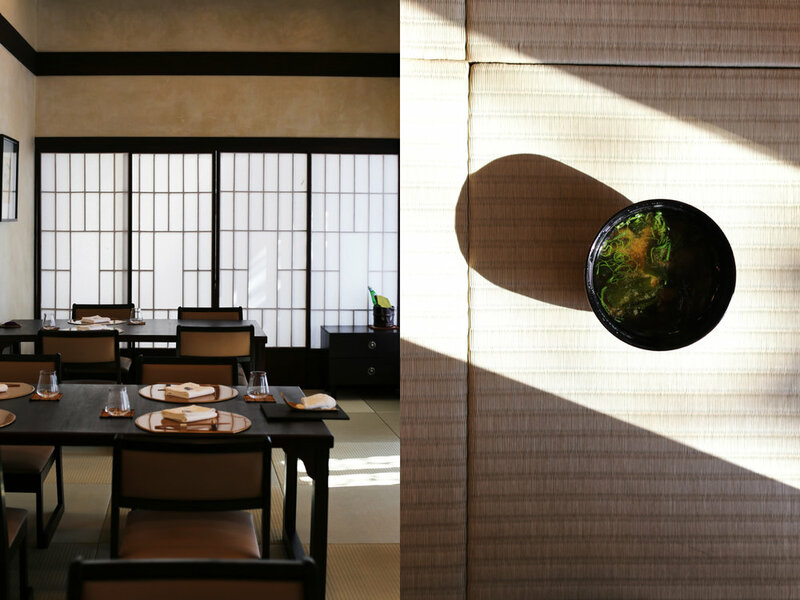 The space is minimal, with beige walls, tatami mats, brown framed chairs and Japanese artwork for subtle accents. I parked in the Dubai Opera underground parking, went down a level to P2 and parked next to exit 22 which is across the street from the restaurant. From what I understand, the owners of Kohantei are a Singaporean, 2 Indians and one Abu Dhabi local. Some of the partners have other restaurants in the city. 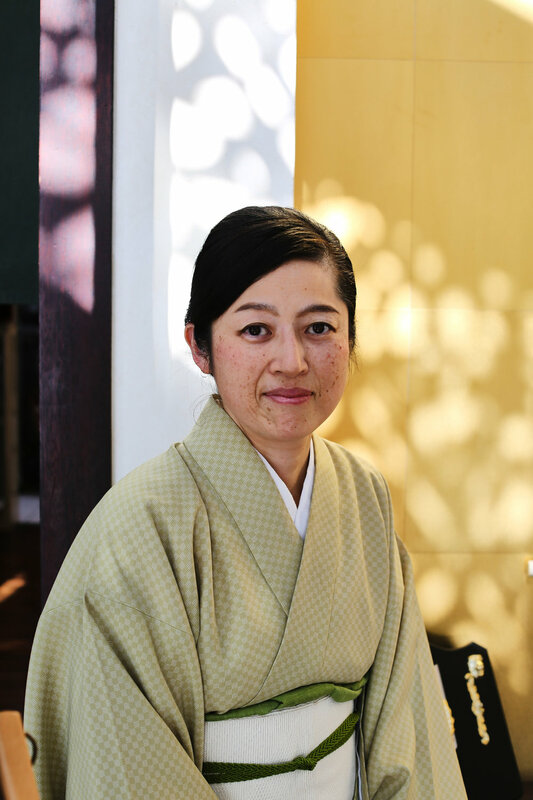 I have to note, there are a total of 7 Japanese only staff member, 3 chefs (1 from Hokkaido and 2 from Tokyo) who do all the prep, cooking and clean up and 4 front of house dressed in traditional geisha outfits. 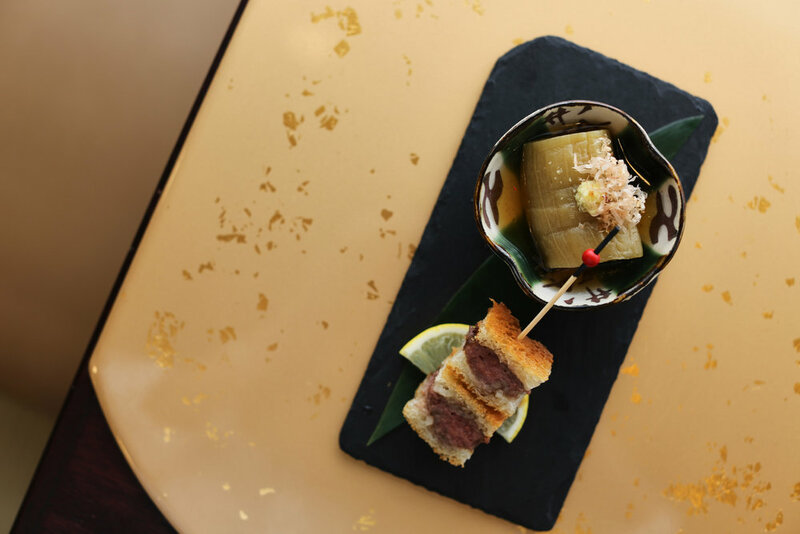 The cuisine is Japanese with a focus on wagyu beef. They have an a la Carte menu including sushi, rice, noodles, fish, beef and Shabu Shabu. 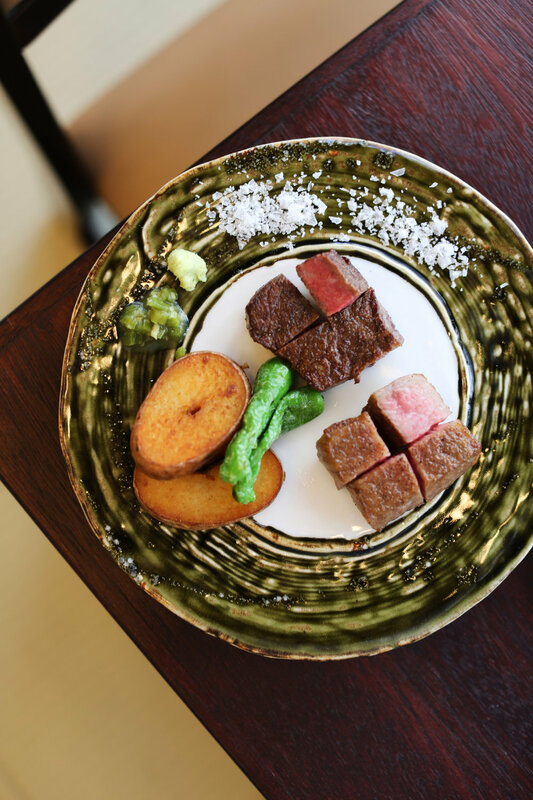 They also offer 5 types of set menus ranging from AED 368 to AED 1,155 the first with 6 courses and the last with 8 courses and more wagyu beef. Appetizer: Fried eggplant and a wagyu bite. Soup Dish: An earthy classic vegetable broth soup with the softest two meat balls giving you a whisper of meat. Sashimi: Two types of fresh sashimi. The plate included benitade leaves (you should place the leaves in your soy sauce), fresh wasabi (I can still see the wasabi fibbers in the paste) and premium Japanese carrot flower cut out. I always look at the shine on sashimi. The oils and the fats of the fish are still present which my lip balm receives support from. Both meats are cooked to an average of medium and are presented with potato, green pepper, salt and sauces. The Ozaki beef is different to beef I’ve tasted in the past. It’s fatty, it’s soft, it’s pink-white and very light to digest. Rice Dish and Noodle: Braised meat on white rice with a bowl of meso soup. Dessert with Tea: The chef’s own recipe of black sesame ice-cream with a kettle of premium green tea. The black sesame is sweet without the taste of sugar and has that creamy, elastic consistency I enjoy. Kohantei offers a full range of alcoholic and non alcoholic beverages. I have marked Kohantei as a destination restaurant. You can enjoy a fine dining experience at AED 368 or splurge at AED 1,155. At AED 368 with the quality of ingredients you’re receiving and personalized service, I would mark it as value for money. Many hints of Kohantei reminded me of my trip to Tokyo; a city I fell in love with. 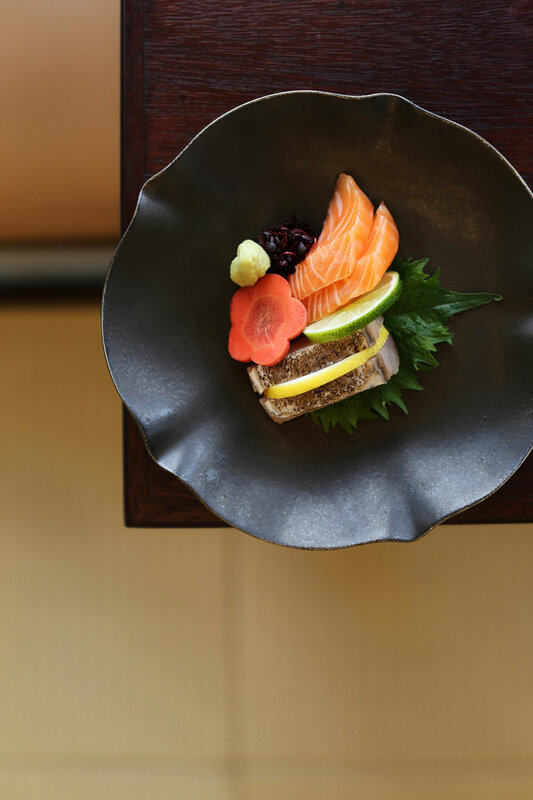 The focus on quality food, the small interior and dialog service gives Kohantei all the elements of a TALA SOUBRA preferred destination.